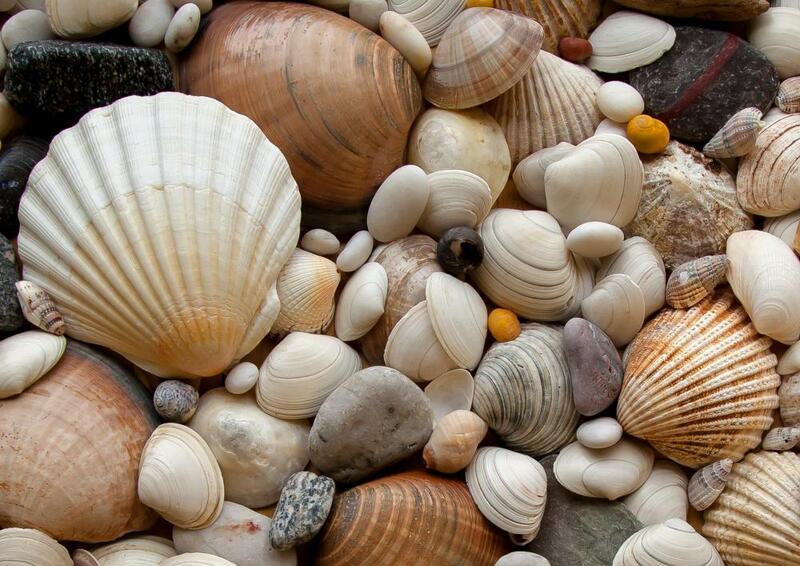 The shells of bivalves are composed of calcium carbonate. One cup of milk can supply roughly 25% of the daily recommended intake of calcium. 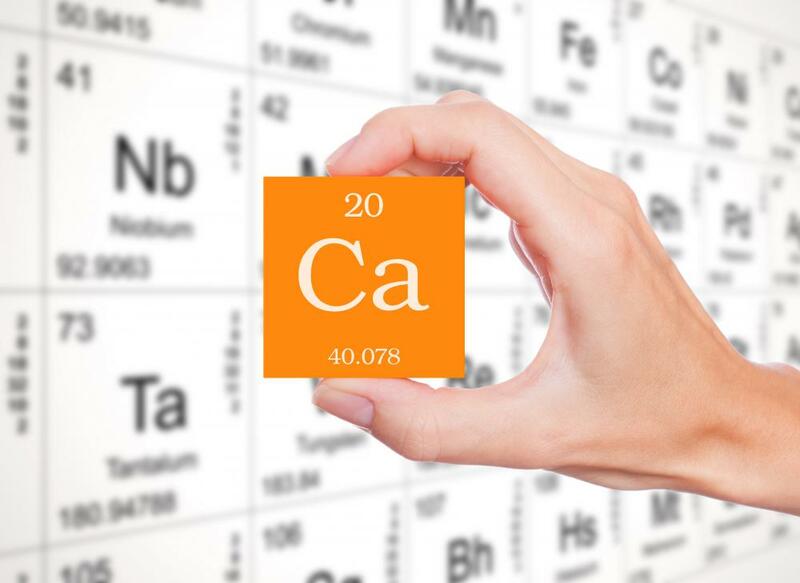 Calcium is abbreviated to "Ca" on the periodic table of the elements and has an atomic number of 20. Calcium is a metallic chemical element which appears in great abundance in numerous compounds in the Earth's crust. It is one of the most abundant minerals on Earth, in fact, and it is also a vital component of many living organisms, making calcium very important element of healthy nutrition. Dietary calcium can be found in a number of foods, and also in the form of vitamin and mineral supplements, for people who are at risk of a deficiency. In addition to being important for healthy bodies, it also has a wide range of industrial uses, both in pure form and in a number of compounds. Many ancient cultures used calcium compounds for a wide number of things, although the element was not isolated in 1808. Sir Humphrey Davy, a well known chemist, managed to extract it from calcium chloride by passing an electrical current through the compound. The name of the element is taken from the Latin calx, for “limestone,” a reference to an abundant compound found in many parts of the world. In its pure form, calcium is a silvery, firm element which is rather malleable. It is classified with the alkaline earth metals, although it is less reactive than some of its relatives. The symbol Ca is used to identify it on the periodic table of elements, and the element has an atomic number of 20. When burned, calcium emits a yellow to red flame, and the elemental form will create a sort of patina when exposed to air. Although it is not as reactive as some alkaline earth metals, it does readily combine with a wide range of substances. Some common things which contain this mineral include limestone, gypsum, plants, and animals. Calcium is never found in an elemental form naturally; rather, it appears in a wide assortment of compounds. The pure mineral is often extracted from calcium chloride, using much the same technique that Sir Davy employed in 1808. Calcium carbonate, one abundant compound, is used to make materials like concrete, quicklime, and cement. Other compounds are used in alloys, insecticides, deodorant, fertilizer, textile production, cosmetics, lighting, and in flares. In living organisms, this mineral is part of bones, teeth, and shells, among other hard body parts. It is also carried in the blood, playing an important metabolic role in the body. Most animals take efforts to ensure that they get enough calcium, combining its consumption with vitamin D for maximum absorption. What Are the Different Uses of Calcium Chloride? What are the Different Causes of Bone Calcification? What are the Most Common Hypercalcemia Symptoms? @cloudel-- Isn't spinach the food containing the highest amount of calcium? I think so. I wonder if it's better to take calcium in its natural form, that is through food, or through supplements? I think supplements are good, especially because calcium and vitamin D are sold together. Vitamin D is necessary for the absorption of calcium. But I also think that the calcium in foods would be easier on the system because it's in it natural form. @turkay1-- I think it has to do with osteoporosis like others mentioned. But enough calcium is necessary for everyone, not just the elderly. I think if we don't get enough calcium, our body starts pulling the calcium out of our bones because it's an essential vitamin for the function of our system. This results in the weakening of bones which is called osteoporosis. If elderly people don't get enough calcium, their bones will be brittle and will break more easily. Bones also don't heal as quickly when people are older so it's very dangerous. My mom is 65 and takes calcium supplements every day. She also eats a lot of yogurt and drinks milk. Why do older people have to take calcium supplements? I wish to do more studies on calcium so I can write my thesis for masters degree in animal physiology. Please advise me on how to go about with this project. 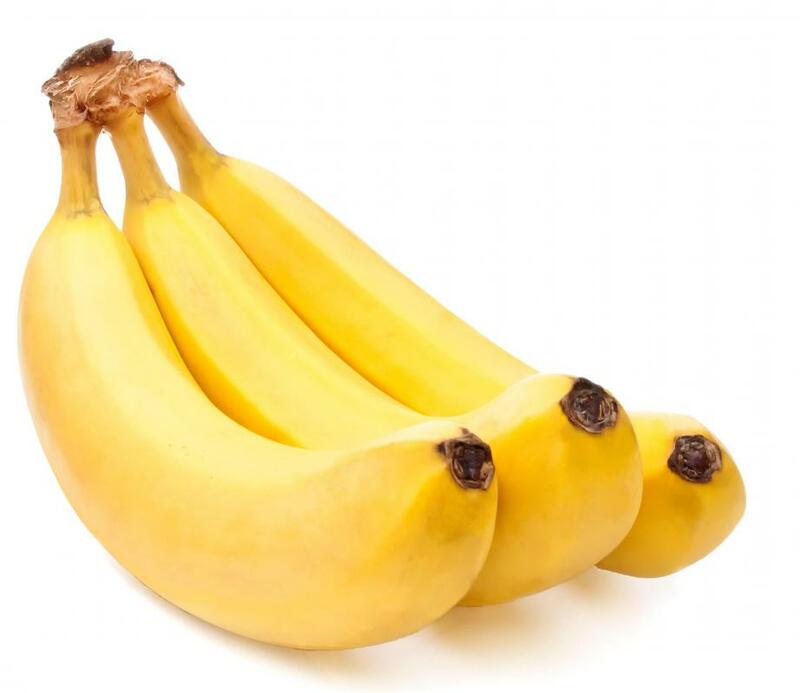 @shell4life – You can find calcium in foods that you might not suspect would contain it. I was surprised to learn that collard greens and salmon are full of calcium. Do you like yogurt? Yogurt contains a lot of calcium, but since you dislike other dairy products, you may not go for this. You can also get calcium from almonds and oranges. Fortified cereal is a good source, too. What are some good calcium sources? I hate drinking milk, and I can't stand the taste and texture of cheese. I need some other kind of calcium rich foods in my diet to make up for the fact that I dislike dairy. I'm in my twenties now, so it is time for me to start thinking about preventing bone disease when I'm older. I know that I need to change my diet up, and I'm willing to do that with something other than milk or cheese. I never would have figured that calcium would be silver and malleable. I've always pictured it as a hard white substance, probably because it's in bones. I've always been afraid to take calcium supplements, because I've read that too much calcium can cause kidney stones. I have a kidney condition that predisposes me to stones anyway, so I can't afford to risk it. I do worry about getting osteoporosis, though. I feel that the best thing I can do is get plenty of calcium in my diet, without adding any extra unnatural sources. science is very interesting. Me, i like doing biology and chemistry, but not physics! 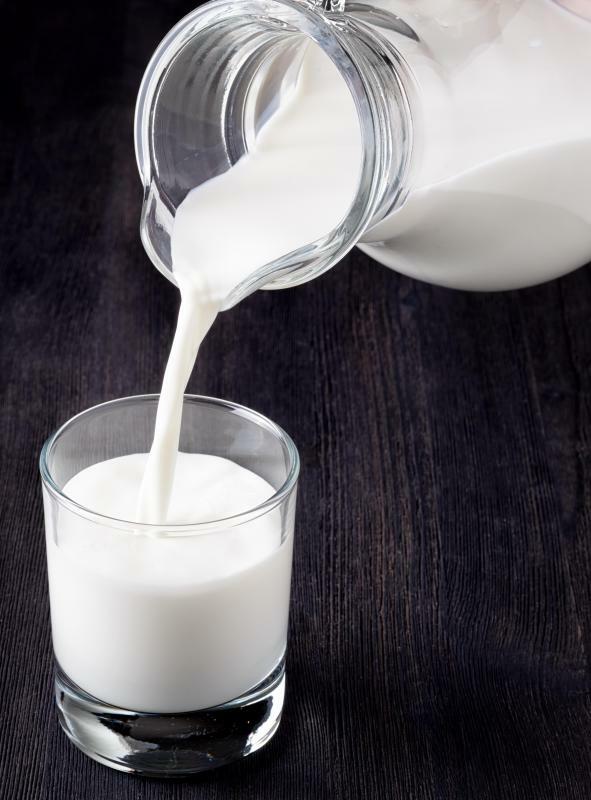 now i have done research on calcium i will like drinking milk because i didn't like it before! Can anyone help me to for the procedure of extracting calcium from calcium carbonate? i need it for my research. Magnesium is important not only for better calcium absorption, but to chelate it and other minerals, thwarting deposits which could lead to kidney stones or other bodily inflammation, 400 mg mag a day (plus distilled water if prone to the stones). NAC is also a great chelator. I am 54 and the side of my face swells now and again. The doctor said it is a build up of calcium what causes this and do I need to be concerned about it. I have not reached menopause yet. It is uncomfortable and has happened about 6 times now. Calcium is a very important dietary element for everyone, but especially women, who are much more prone to osteoporosis and other problems resulting from a lack of calcium. Pregnant women especially need to make sure that they get the recommended daily allowance of calcium.